CORTLAND, N.Y. — At Tuesday evening’s Common Council meeting, board members unanimously approved zoning updates to the Cortland City Zoning Code but with one caveat: an amendment to remove the student density housing overlay district to be reviewed at a later date. The city has been working with Rochester-based community planning and urban design firms Ingalls Planning and Design and the Steinmetz Planning Group—which was acquired by Syracuse-based Barton and Loguidice in September 2018—since May 2015 to update the city’s zoning code. After hearing from concerned community members and members of the city’s Housing Committee during the public hearing for the proposed local law on the zoning changes, Common Council created an amendment to remove the language pertaining to the student density overlay housing district but proceeded with the rest of the proposed draft to the city’s zoning code. The sentiment during public hearing focused on the dangers—the potential for code violations, and the overall environmental and behavioral changes stemming from ballooning student housing—that come with an influx of higher-density student housing in an already congested—housing, parking, and day-to-day traffic—area of Cortland. If approved, the student density overlay district would have allowed for more residents per housing unit close to downtown. The proposed district would encompass a large section of Groton Avenue, from Tallmadge Tire Service on the corner of Groton and Homer Ave to nearly Main Street. The district would allow no more than five unrelated occupants in one housing unit; three are allowed in the rest of the city. The intent of the district was to promote higher-density student housing within walking distance of the SUNY Cortland campus and downtown Cortland while also sustaining owner-occupied, single-family housing in surrounding neighborhoods. Kathryn Silliman, 2nd Ward Alderman, spoke out during Common Council suggesting the removal of the student density housing overlay district to give board members an appropriate amount of time to consider the measure more in-depth. Silliman also questioned the targeting of student dollars and the potential for negative trends that could mushroom from such an objective. “As a city, we need to think about developing for all residents,” Silliman said. Thomas Michales, 8th Ward Alderman, suggested a best-case scenario of developing new properties, which would, in turn, drive current landlords into building new structures to keep in line with newer housing instead of focusing on an expansion of student density in some of the city’s current deteriorating housing. 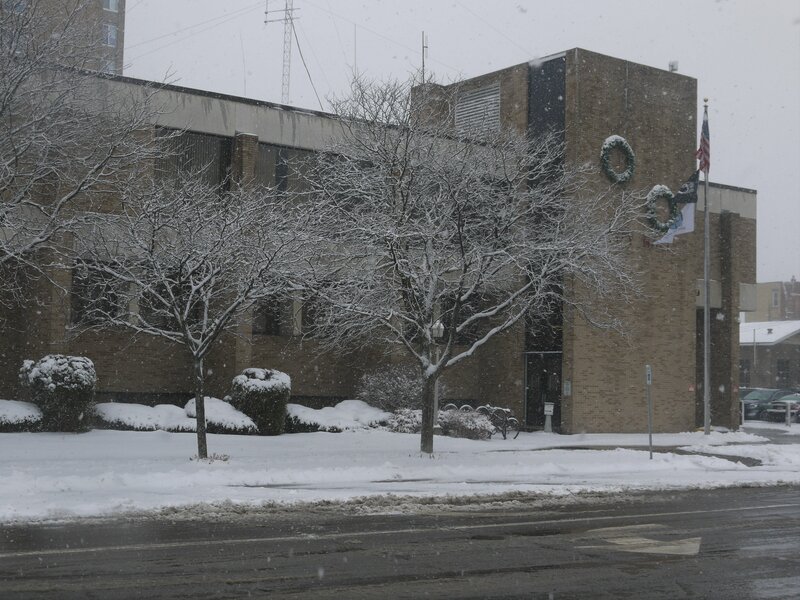 Common Council unanimously approved a resolution to authorize the City of Cortland to participate in a 2019 Shared Services Grant with the County of Cortland and the Town of Cortlandville through the NYS Archives local Government Records Management Improvement Fund for a total amount of $150,000. $50,000 of the $150,000 will be used to pay for the storage of digital records, and the rest will be divvied three ways and used to scan records. Common Council also unanimously approved resolutions to authorize Mayor Brian Tobin to execute the Grant Agreement contract with the NYS Office of Community Renewal, providing $500,000 (no public sector match) in funding for the private sector redevelopment of 83-83 Main Street. Other Grant Agreement Contracts with the NYS Office of Community Renewal include $750,000 (no public sector match) in funding for the replacement of the Clinton Avenue water main between Pomeroy Street and Pendleton Street; $200,000 (no public sector match) in funding to continue the City’s Microenterprise Assistance program; and a Grant Agreement Contract with the NYS Department of State, providing $48,750 (twenty-five percent public sector match) in funding to update and adopt the Tioughnioga River Waterfront Revitalization Program which will guide multi-community land use along the waterfront and focus on increasing public access to the waterfront, strengthen downtowns, establish a pedestrian/bikeway trail, and protect natural resources. Mayor Brian Tobin ended the Common Council meeting with an update on the progress of the Downtown Revitalization Initiative. Tobin said the city is in the midst of Request for Proposals (RFP), and they are waiting to hear from architects and engineers interested in developing projects. Tobin hopes to start work on Main Street infrastructure and improvements in 2020 and 2021.